A member of MDC-Alliance party Mr David Coltart has said the opposition party has a problem of labelling members that show ambition to contest for posts Zanu-PF agents. Mr Coltart last week told CBNC Africa that the fake infiltration narrative has been commonly used in the MDC to suppress those harbouring ambitions. MDC-Alliance secretary-general Mr Douglas Mwonzora has been labelled an in-plant of Zanu-PF after he made public his intention to challenge Mr Nelson Chamisa for the post of president at the party's congress set for May. Mr Coltart said the narrative that has become common in the opposition party is a blunt lie. There have been attempts to link Mr Mwonzora to Zanu-PF but the ruling party has distanced itself from the allegations saying it has no time to meddle in opposition politics. Mr Mwonzora, has been receiving a barrage of insults and threats from party officials intent on scuppering his campaign. "It is critically important that we approach that contest in a mature fashion. We should stop this behaviour whereby each time someone puts his or her head up above the pulpit to challenge a position, he or she is accused of being a Zanu-PF agent. 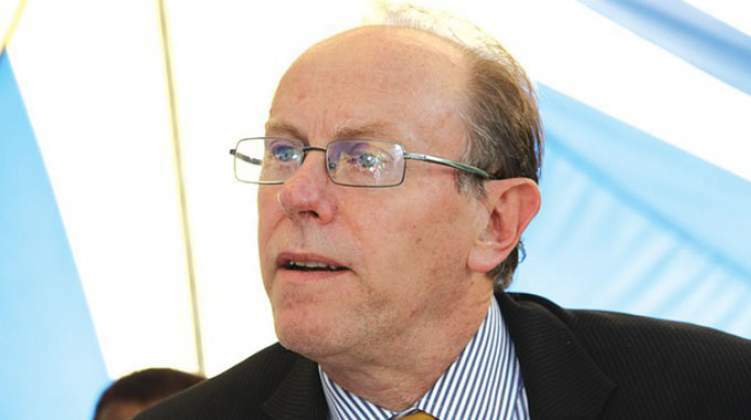 I don't believe the allegations against Douglas and I hope the rhetoric will end," said Mr Coltart. He pledged support for Mr Chamisa but said this should not stop Mr Mwonzora from throwing his hat in the ring. "I know Douglas Mwonzora very well. I respect him because he has done a very good job as the secretary general and if we are a democratic party, anyone must be allowed to contest for any position. "However, I think that Nelson Chamisa has revived the party and he enjoys grassroots support, hence I back him. But Douglas has the right to contest," he said. Despite presenting itself as a "democratic party of excellence", the MDC has been at pains to eliminate any challenge to Mr Chamisa's position at congress. MDC-Alliance deputy president, Engineer Elias Mudzuri, is also viewed as another potential contender for the presidency. Mr Coltart said the opposition party which controls most urban local authorities should demonstrate its capacity to preside over public affairs. MDC-run councils have been accused of failing to provide services despite residents paying for these services. "I think that is the big challenge for the MDC, going forward in the next four years, we have won every single urban centre, we now have a challenge to demonstrate that we can deliver," said Mr Coltart.